Asia’s largest smart city event, the Selangor Smart City & Digital Economy Convention 2018 (SDEC 2018) saw over 200 exhibitors and 8,000 attendees at its third iteration of the international convention. 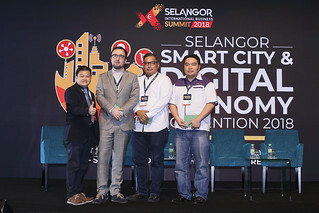 Co-organised by the Selangor Information Technology & E-Commerce Council (SITEC), Menteri Besar Incorporated Selangor (MBI), Smart Selangor Delivery Unit (SSDU), and Invest Selangor Berhad, the Selangor Smart City & Digital Economy Convention is part of the Selangor International Business Summit 2018, and an 8-in-1 event covering three themes – Smart Manufacturing, Retail Revolution, and Startup Fest. The nation’s first ever National Mayor Smart City Roundtable was officiated by the deputy minister of Housing and Local Government, Raja Kamarul Bahrin Shah Raja Ahmad, and attended by over 150+ local council mayors and officers in a bid to foster openness, knowledge transfer and collaborative opportunities. The roundtable explored the topics of traffic and mobility; communications & connectivity; and smart waste management, bringing with it global and regional experts from UK, China, Indonesia and France, who lead discussions with the local councils to explore existing solutions and finetune them within a Malaysian context. 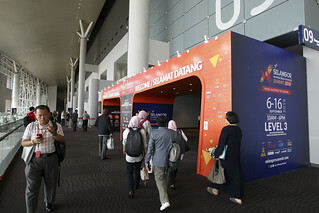 Aside from free entry to the international exhibition featuring global tech leaders such as China Academy of Electronic and Information Technology (CAEIT), Taiwan AI Lab, Huawei, Microsoft, Axiata, German Malaysia Institute (GMI), MaGIC, and more, it also included a Smart City forum and Startup Forum for attendees too. Top international city leaders converged to explore strategic approaches for building smart cities in the city discussion session of the Smart City forum, with speakers from smart cities in China and Indonesia, together with local Cyberjaya. 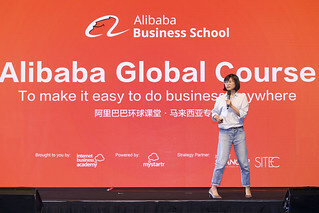 Other topics included AI, fintech, blockchain, machine learning, and Industrial Revolution 4.0, with both local and international speakers. It also showcased the 10 best startups nurtured from the Selangor Accelerator Programme (SAP) 2018 in the SAP Demo Day, where the top five proceeded to the Selangor International Pitch (SIP) on 14 September, alongside other top APAC startups.